I love reconnecting with past clients in new ways. You probably remember our wonderful family session last fall, and I was so excited when Jackie contacted me again for a new project. Jackie has taken a leap of faith and has entered into the Next Top Author competition, which is offering a publishing contract to new authors looking to get a positive message out to the world who otherwise would not be able to. She was looking for a way to further explain her book concept, and after some collaboration we pulled this piece together. Mine By Design – Jackie Cyriac from Nate Mathai on Vimeo. If you guys have a moment, you can show your support by voting for her at the site. Nate Mathai holds the copyright on all his images. He allows all users to share, pin, distribute, etc. his images digitally for personal, non-commercial use. The images should not be altered, cropped, edited, or modified in any way. It is illegal to remove the watermark from his images, and can be punishable be fine. If you are interested in obtaining rights to his images for commercial use, or if you would like to purchase higher resolution images for print, you can contact him directly. 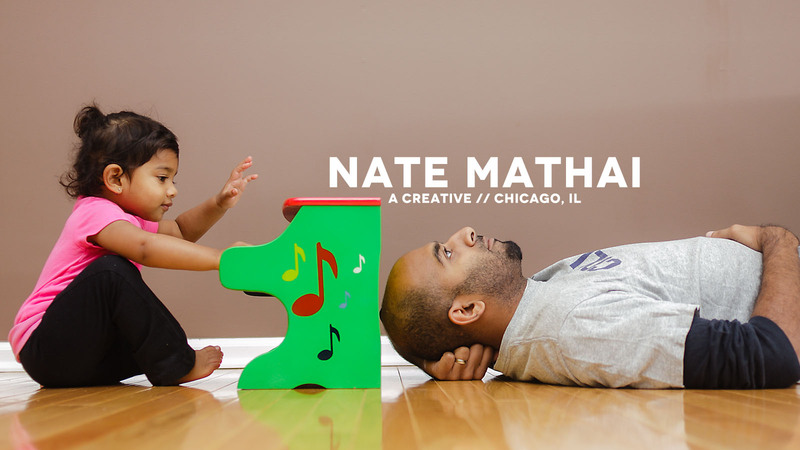 Nate Mathai is a creative who currently provides photography services in the greater Chicagoland area in Illinois, and is also available Nationwide. He specializes in wedding and portraits, with a style that blends photojournalism and fashion. Nate Mathai only accepts a limited number of bookings per year to guarantee top quality work for his clients.